Grain free, paleo desserts can be just as delicious as the originals they mimic. 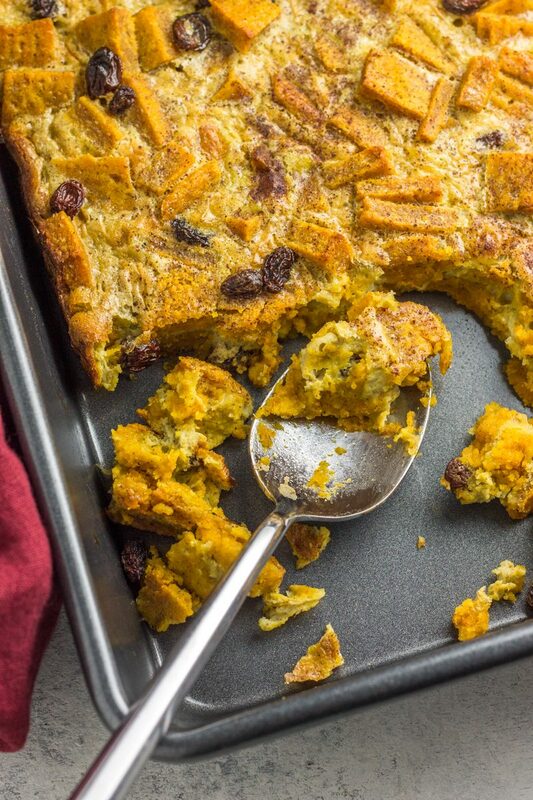 This paleo pumpkin bread pudding is naturally sweetened and dairy free. When the pumpkin craving hits you hard, what better way to satisfy it than with a warm and delicious dessert?! I’m pretty sure I read that in a really though-provoking, self-help book. Maybe it was even thrown in the Bible somewhere? I can’t remember where I first saw it, but I do know this to be true. Ok I think I’m taking this too far. 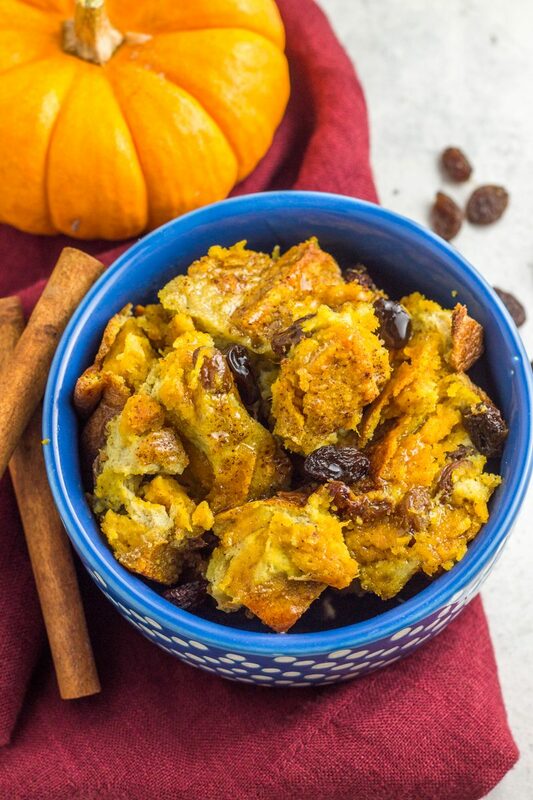 How about I just admit that this paleo pumpkin bread pudding is a deeeeeelicious fall dessert that came out of a big fat failure. And it’s a darn good thing it did. Boy oh boy am I glad this genius idea popped into my head (divine intervention perhaps?) 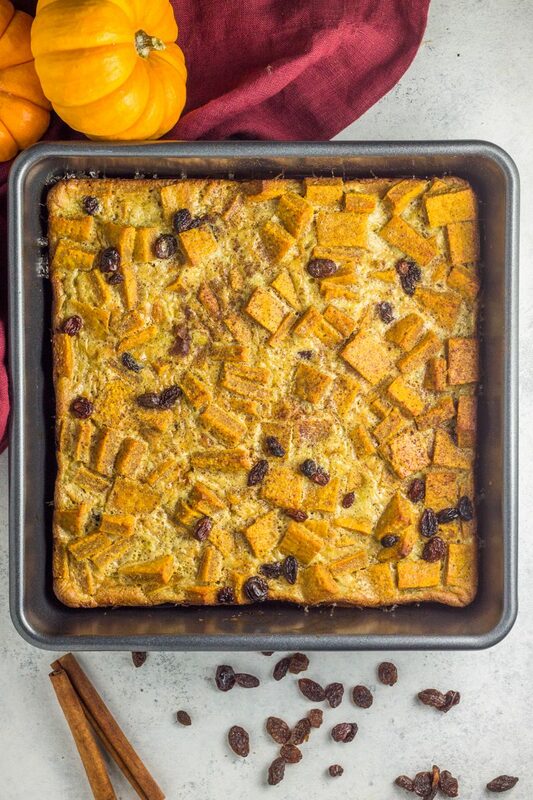 because this paleo pumpkin bread pudding is THE delicious dessert you gotta make this fall – just one bite and you’ll agree. 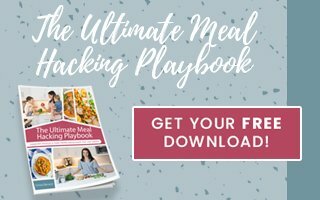 It’s an amazing grain free and dairy free breakfast for those chilly mornings or a yummy dessert after a comforting fall-inspired meal. Made with natural sweeteners like pure maple syrup, a dash of pumpkin pie spice, and raisins. Oh and did I mention the ‘bread’ of this bread pudding is a combo of sweet potatoes and pumpkin puree? YEP! It’s epic. And perfect for devouring straight out of the oven, or reheating all week (if it even makes it all week). Then it’s all about assembling and watching the magic happen. Seriously magic people. 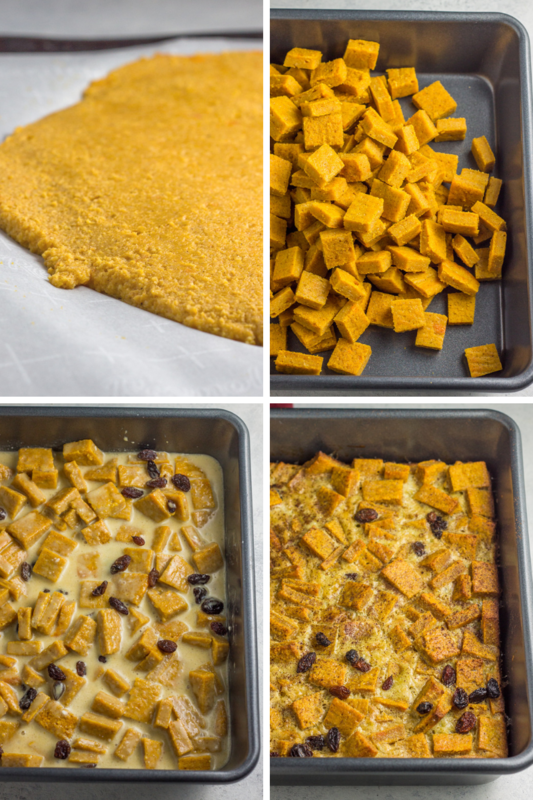 If you’re looking for a comforting, pumpkin-inspired treat that rivals those non-paleo fall favorites, look no further than this paleo pumpkin bread pudding! Love pumpkin everything? 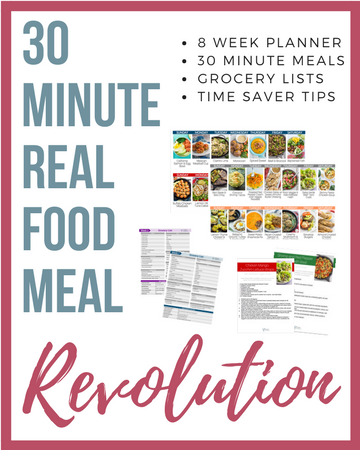 Then be sure to also try these Paleo Chocolate Chip Pumpkin Blondies, Mini Paleo Pumpkin Pies, Pumpkin Pie Mini Marshmallows (paleo), and this Paleo Pumpkin Microwave Soufflé. 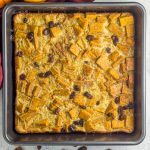 This grain free, dairy free paleo pumpkin bread pudding is naturally sweetened and totally comforting. It’s the perfect fall treat.